University of Birmingham (UoB) GAC may not be able to rival the success on the pitch in recent years of the likes of Liverpool Hope University (few can), but as the club prepares to celebrate its 10-year Anniversary its place in the affections of its members, both past and present, must be the envy of many. 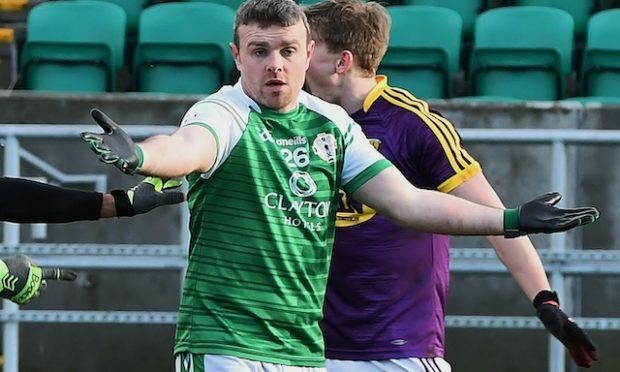 “It’s more than just a club,” Hugh Deery told the Irish World. 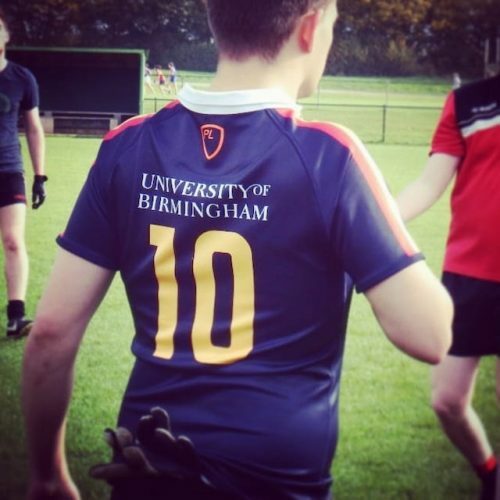 More of a rugby player when he started at UoB, before the Gaelic club enticed him in, Hugh served as its treasurer for two of his three years while attending UoB. He graduated last year, but still remains involved – he co-founded the club’s ‘Alumni Foundation’, but more of that later. For Hugh, UoB is an “extended family” where members are “members for life”. The appeal of the club is its “family and community feel” and the atmosphere generated amongst its members through numerous social events, not least its end of year tours to Europe. Hugh met his girlfriend in his second year, and since attending her first club social, “she’s been to the majority of them since” he says. The club can also boast one wedding and a baby – Fin Thompson, the offspring of Tara and Sam Thompson. “It’s a great fun club. It’s always managed to keep everyone interested, not just in playing the game but being social off the field,” added Hugh. “The club definitely has a draw for everyone, even those who’d never played the sport previously or being involved in the culture. 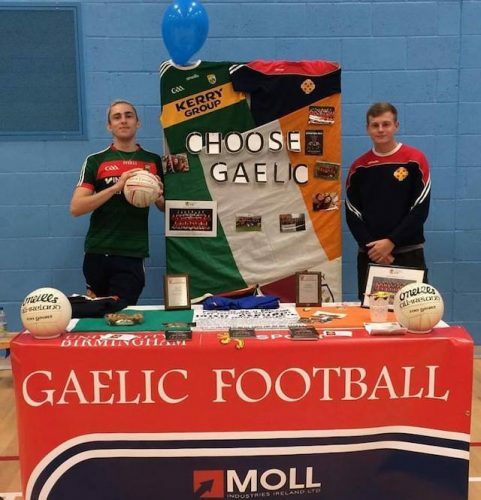 That family feel extends to its front of shirt sponsor, MOLL Industries. 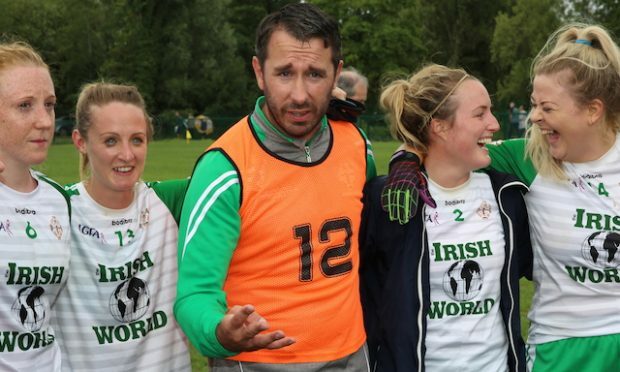 A Donegal company whose owners are the parents of one of the team’s players, Chloe Masterson. That’s not to say they haven’t enjoyed their fair share of success on the pitch, as well as a few ‘nearlys’. 2014, in particular, was a special year for the club. The men’s team made it back-to-back Division 2 British Championship, while the ladies’ also won Division 2. 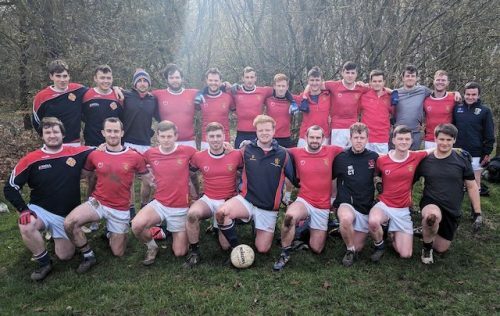 In 2017, the men’s ‘first team’ lost out in the Division 2 final, while their ‘second team’ were beaten in the Division 3 final. 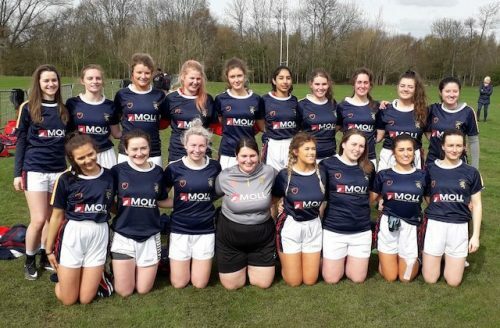 The Ladies were beaten by University of Glasgow in their Championships final that year, and in 2018 reached the Division 2 semi-finals. Diversity has been a key ingredient to the club’s success. In recent years, they’ve fielded players from Mexico, Spain, France and Switzerland, while some of its leavers, who have stayed in Birmingham, have gone on to play for the likes of John Mitchels and St Brendans. “You’d be surprised at the amount of players who’ve never heard of the sport or never picked up a ball before. They make up a significant proportion of the club,” said Hugh, who comes from Rugby and whose family are Irish. He started playing Gaelic football at school thanks to the work of the Warwickshire GAA community development administrators, before rugby took over. But Hugh’s cousin had enrolled at UoB a year before him and joined the Gaelic football club. That tempted him to give the sport another try. “I went along, really enjoyed it, and made some good friends. So I decided to stick with it. 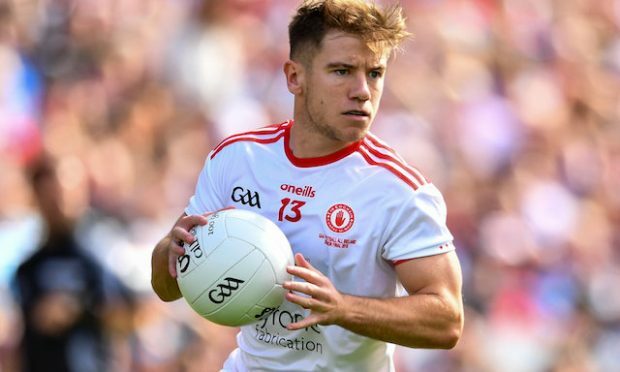 I’d always enjoyed Gaelic football when I was longer,” he said. On 13 April the club will celebrate its 10th Anniversary with a Dinner Dance for all current members and alumni. The evening, organised by members Jack Lynch, Nicole Walsh and Niamh Burns, will include the presentation of awards for this season. The men’s team came third in their Division 2 group at the recent British Championships. They also recorded a noteworthy result earlier in the season, beating their “bogey team” St Mary’s of Twickenham by 5-10 to 0-7, having lost to them by three points earlier in the year. Bragging rights also went to the club for its International Rules Series win over the university’s Aussie Rules team. The club’s ladies finished as runners up in Division 3 at the recent British Championships. The evening will also see 30 special 10th Anniversary All Star awards to members past and present, while it’s hoped that the celebrations will be preceded by a match between its current members and Alumni. “As soon as the club launched the evening there was a lot of interest – it’s proving to be pretty popular,” said Hugh. 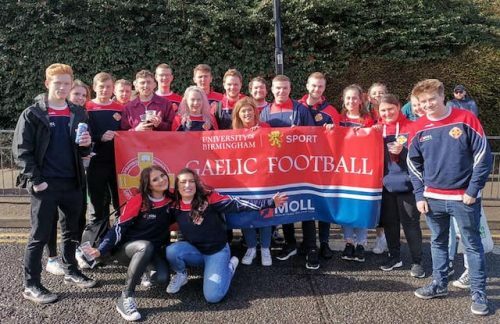 The club will also use the event to officially launch its new University of Birmingham Gaelic Football ‘Alumni Foundation’. The idea behind it is to raise funds, keep its past members involved and provide a means for them to “give something back”. The club has always been proactive when it comes to reaching out to its former members. Its committee includes an Alumni secretary and the club hosts two or three Alumni weekends throughout the year. 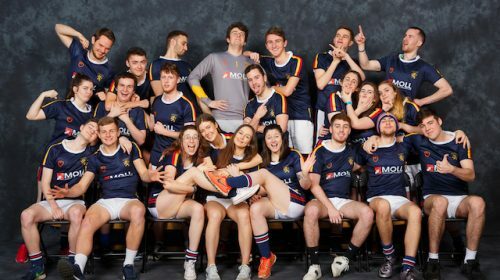 However, as one of the smaller clubs at UoB, Hugh says it’s always “more difficult” to get funding and to buy all of the things the club needs to survive. “The idea is to keep the community and the Alumni that we’ve got,” explained Hugh. Regular email updates will keep foundation members informed of all club news and what their donation is being put towards. 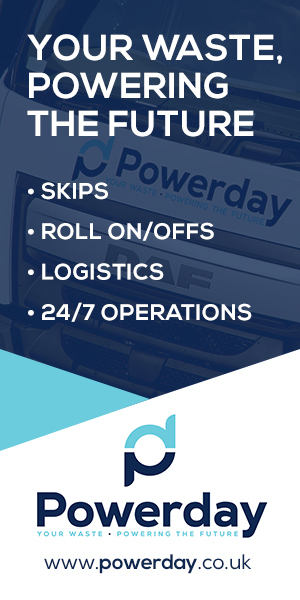 One of the main areas of need, is transport. Members regularly have to put their hand in their own pocket to pay for travel to matches, and also for accommodation for championships. “That’s one of the things we want to make easier for the club in the future, to help it get more people involved. 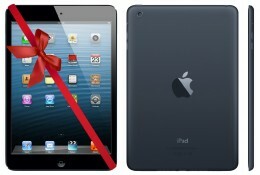 £2 a month from just ten people would go a long way,” he added. Playing members of the club currently pay £85 to join. Some of that money, however, goes towards pitch hire at UoB for training and on insurance. With no pitch available to them on campus still, when Hugh joined the club was paying £100 per game at Erin Go Bragh. Now, thanks to the generosity of the Warwickshire county board, to try and help them “grow the game”, they play for free at Páirc na hÉireann. Like many others, they await the outcome of the board’s on-going discussions with Highways England with interest. An on-going problem, but the club has still come a very long way since it was set up by Joe Hopkins in 2009. Indeed, “the ladies team only had three people turn up to its first training session and there were barely enough members all together to be classified as a ‘club’ by university standards”. As former UOB student Matthew O’Dowd noted in a piece published in the Irish World in November 2017, Joe had to “gather up his course mates and house mates to make up the numbers”. Ten years on, at its core remains a hard-working and dedicated committee, determined to keep its legacy and spirit going for future generations to enjoy.